Pat is licensed dental hygienist that has 4+ years of experience with Myofunctional therapy. As a IAOM Certified Orofacial Myofunctional Therapist (COM) she enjoys helping people with many oral concerns. She works with a multi-disciplinary approach and encourages other disciplines to join in on total body health. Her goal is to help every patient leading them to a professional that has similar personalities and understanding. Pat is a national and international speaker for the last 8 years for the dental community on a variety of topics. Volunteers to educate children on dental health. 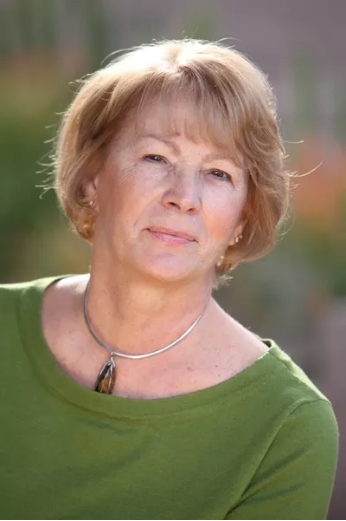 Pat loves outdoor sports, boating, hiking, biking, walking and being with family and friends. The more the merrier. Pat is also an infection control specialist for the medical & dental communities for health and safety. Spread the WORD! Please Release ME is for anyone with a tongue - share with your friends, family and professionals. Great birthday book! Get your Copy TODAY! Start young to eliminate oral habits will pay off long-term. Call us today with any questions you may have. We are happy to help. We provide Orofacial Myofunctional Therapy for all age groups. Birth to adult. Our commitment is to you the patient. Our assistance will help your physical health holistically. I like the personal care and fun helping my child with tongue thrust. I am so grateful I found Pat with Muscles in Harmony. By starting myofunctional therapy before my release I was able to tone my tongue and learn the stretches and exercises needed for a successful tongue and lip tie revision. After the releases, the exercises and stretches I learned were extremely helpful in reducing pain and ensuring my tongue healed properly. I am extremely happy with my decision to have my tongue tie revised. I have less neck and low back pain as well as greater flexibility in my neck. The tension is my neck and shoulders has also greatly been reduced. I can now feel a whole neck and shoulder stretch that I didn't even know was possible before revision. Swallowing medication is much easier now after completing several months of tongue therapy. I can now comfortable swallow with my tongue tip at my mouth's roof, without thinking about it. Before meeting Ms. Pine, that seemed impossible, as all my 30+ years life, I always had swallowed with tongue pushing against my bottom front teeth. I don't gag as much anymore as well. I learned more and appreciate all the effort you are putting into this program. I'm educating my patients by showing them their frenums. I see that some people like knowing more about themselves but it's an area that is not that familiar to them. So happy I meet you and you have inspired me to check my patient's frenums - all seven of them! Pat Pine at Muscles in Harmony is a great therapist. I would highly recommend anyone who needs any sort of therapy for the mouth to see her. She can help with breathing, tongue thrusting, forward head posture, tongue position, snoring, open mouth issues, and much more. A lot of times humans are very unaware of their issues until someone who knows what they are doing points it out. Tongue ties are not taught in school nor are they often recognized by Dentists, unfortunately. When someone is in pain for so long and cannot take it anymore, they do everything they can to figure out the cause, or at least one of them. Luckily, we have people like Pat who are very interested and educated in this subject to help patients that need it! I am very fortunate I found out about tongue ties, although 30 years late, and was able to get in with Pat to start my recovery from neck, shoulder and jaw pain. I hope anyone with tongue ties, small palate, narrow teeth, etc. can get the help they need. She was very educated and hands on. If she sees you in person she will put gloves on and work on the inside of the mouth to check muscles. If you ever have questions or concerns she is always willing to help out as best as she can, even if that means referring you out for other concerns. Pat uses a multidisciplinary approach as needed. What are three benefits you found during your therapy? I am now able to breath much better without exhaling through my mouth. I am now more aware of where my tongue placement should be and always focus on having it up on the palate on the ridge before the teeth. I no longer clench my teeth and grind at night. Pat has been fantastic, very flexible with time. Our son had several issues and she has the patience to provide care for our son. Our son enjoyed coming to see Pat. Her style and mannerisms worked for us. His tongue thrust and swallowing therapy are complete. It was a great time at Muscles in Harmony. This book is priceless for everyone that has a tongue. Please Release Me will share awareness information to make a wise decision on TOTs, it's a must have book for all professionals.